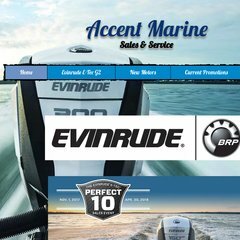 www.Accentmarine.com - Accent Marine, Inc. Topics: Stratos Boats, Bombardier, Mapquest, and Boats For Sale. It has 2 DNS records, ns25.ixwebhosting.com, and ns26.ixwebhosting.com. It is hosted by American Registry For Internet Numbers (Virginia, Chantilly,) using Apache web server. Its local IP address is 71.18.29.35. PING www. (71.18.29.35) 56(84) bytes of data.